Make the most of your movie experience with these pro tips. Make the most of what's showing on the big screen by being prepared, say film experts Laura Thielen and George Eldred. Eldred compares attending a festival to running an ultra marathon, whereas going to one movie is more like a casual run. Read on for Thielen and Eldred's pro tips for making the most of a film fest, be it any of Aspen Film's year-round programming or festivals around the world. The point of a festival is discovery, says Thielen. Of course, you'll want to see films within your favorite genre or ones that feature an actor you admire or director whose work you respect. But also choose ones that are out of your normal viewing realm. Thielen and Eldred avoid reading reviews before going to a screening. Instead, they'll read the synopses and choose titles that pique their interest. Watching trailers is also helpful for getting the feel of a film in advance. Says Eldred, preparing for a bigger festival is like "being at a big banquet and having a small plate, and deciding which of the tasty things you’re going to put on your plate." 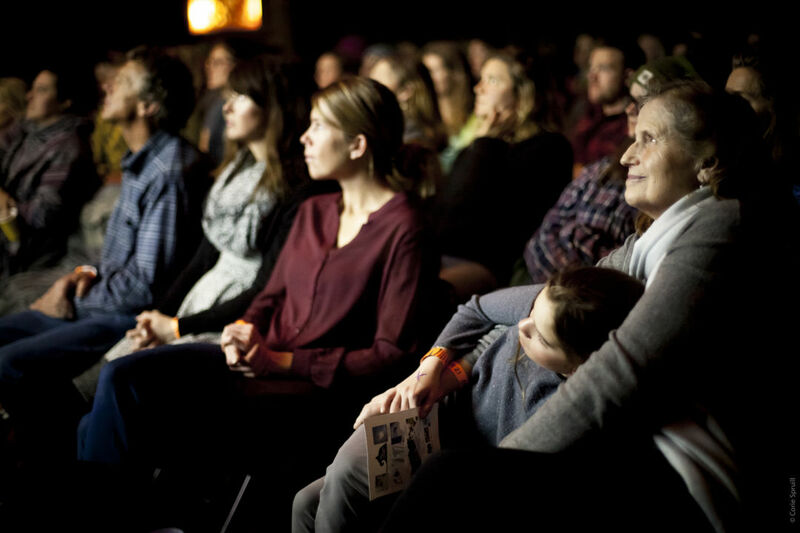 During Aspen's relatively smaller festivals, like fall's annual Filmfest, a dedicated viewer could theoretically see every film. Know that at these and other tightly curated festivals, there’s something worthy in each film. Our task as audience members is to find that nugget of worth and value. At a festival with 300 films, however, there are likely some duds. But keep this in mind: Thielen and Eldred often find that films they didn't particularly care for at first begin to resonate with time. Get into the theater early and settle in. If pre- or post-screening panels or Q & As with directors and actors are offered, take advantage of them. Thielen and Eldred consider these opportunities to be an integral part of the festival experience. Listening to artists speak about their creative processes, why they chose a project, and how they cast a film will give you a deeper appreciation and understanding of their work. Not all theater seats nor HVAC systems are created equal. Thielen always carries a pashmina shawl and a jacket. Eldred brings a fleece jacket, which he can also use as a lower back pillow in uncomfortable seats. Most theaters prefer that guests not enjoy outside food and beverages while inside. However, what you consume between shows (and theaters) is up to you. Thielen and Eldred always pack healthy treats that serve as a pick-me-up between movies: nut butter sandwiches (hint: they last all day), carrots, celery, nuts, chocolate, or an apple. And stay hydrated. Thielen carries a reusable mug she can fill with tea or water. While she doesn't take notes at every film, Thielen does carry a small, spiral-bound notebook (hint: it's easy to turn the pages) to jot down key points after movies she's reviewing or discussing on a panel. Eldred, on the other hand, says he realized long ago that the notes he takes in dark theaters are illegible, so he doesn't bother anymore. At the 2018 Toronto Film Festival, the duo attended back-to-back screenings almost every day and would walk a block or two between shows. When time was short, they'd get in some quick exercise by riding the escalator down to the theatre entrance, then walking up about four flights of stairs. (You could do something similar at the Wheeler by going up and down the stairs.) Be sure to clear your head, too. Get some fresh air; walk around a couple of blocks, or go longer if you have time. Thielen likes to get out of the theater and be with her own thoughts after watching a film. She adds that moving helps her to process her thoughts and emotions. Settle in and give yourself over to the story. Instead of knowing everything about a film before seeing it, Thielen and Eldred like to simply take in what's on the screen. It gives the chance for discovery and surprise. This is especially true with foreign-language films. If you need a focus, ask yourself what the filmmaker is trying to do in telling this story. Rather than instantly analyzing or conducting a running commentary in your mind, be open to where the adventure may take you.